Bhubaneswar : The Centre announced that 22,000 rural markets would be linked to the Electronic National Agriculture Market (e-NAM) by 2020 as part of its drive to double the income of farmers. 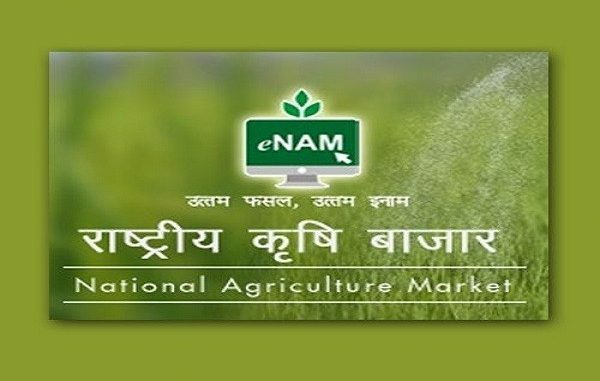 The e-NAM is a pan-India electronic trading portal, a network of the existing Agricultural Produce Market Committee (APMC) mandis to create a unified national market for agricultural commodities. The portal provides a single window service for all APMC related information and services. “22,000 rural haats will be upgraded to Gramin Agricultural Markets and linked with the e-National Agriculture Market to enable farmers sale directly to potential buyers,” Union Minister of State for Agriculture Gajendra Singh Shekhawat said. Shekhawat was addressing the “AgriVikas 2018”, a conclave on agriculture and allied sectors, here. Stating that 585 e-mandis were connected to the e-NAM under agricultural market reforms, he said it is essential to develop entrepreneurship in the farm sector as India is capable of meeting the demand of global food industry. Shekhawat made a slew of suggestions on development of farm sector and emphasised the need to make farmers aware of the latest information on scientific research on the sector. Inaugurating the two-day meet, Union Petroleum Minister Dharmendra Pradhan said the Central government is committed to translate the dream of doubling the income of farmers into a reality for which many steps are being taken. On Odisha, Pradhan said technology and innovation can be a real game-changer for the agriculture sector in the state where farmers are hit by outdated labour intensive techniques due to lack of skill development. He said Odisha’s agrarian economy is lagging behind despite immense potential as skill development is yet to spread in rural areas. Union MSME Minister Giriraj Singh elaborated on the methods by which the ministry was promoting value addition of agricultural products. He said a Kewda cluster could be set up along the 480 KM coastline of Odisha and said the government would prepare a model for this sector. Kewda is an extract from the male flowers of screw-pine tree, which is used for flavouring food. Singh said turmeric from Odisha’s Kandhamal district can be exported abroad and it will benefit the farmers. If Odisha’s farm produce is supplied to regional, national and international markets, it would create opportunities for farmers and spur the economy. “AgriVikas 2018” is being supported by the ministries of agriculture, food processing, petroleum and natural gas, skill development and entrepreneurship, commerce and industry, and micro small and medium enterprises (MSME). Over 1,000 participants including farmers, horticulturists, agriculture scientists, entrepreneurs and students from various states are participating in the two-day event, officials said.